Check out this chat with the Public Enemy producer about how he hooked up with the group, what equipment he uses, forthcoming projects and inspirations. First up, could you give our readers a brief run down of who you are and what you do? My name is Johnny “Juice” Rosado. I am a producer/turntablist/B-boy/Graf writer from Strong Island, NY. Born in NYC and raised in the South Bronx, I witnessed the birth of Hip Hop and it’s infancy through my window. When did you first connect with the Public Enemy family and how involved have you been with their discography? I connected with PE in 1987. Prior to the release of Yo! Bumrush the Show, the plan was for Chuck, Hank and Co. to start a “management” type situation developing groups. They held a contest to find rappers and a DJ to form a group called “Kings of Pressure.” Along with the MC that would later be named Charlie Brown from L.O.N.S. and another friend, I made my way up to the PE demo studio to compete. I ended up winning the DJ battle. While working on the K.O.P. single, “You Know How To Reach Us”, I was asked to become part of the production team that later became known as “The Bomb Squad.” I contributed to the PE albums “Yo! Bumrush the Show,” “It Takes a Nation…,” “He’s Got Game,” “Revolverlution,” and everything afterwards. Could you name drop some of the most well known PE songs which you have been a part of creating? How did you first get into producing and what were the first pieces of equipment which you used? Eric “Vietnam” Sadler first taught me how to program an SP1200. The first drum machine I touched was probably the TR-808 and the Korg DDD-1. Also the Ensoniq Mirage. The first drum machine I owned was the TR-808 (which I salvaged and repaired) and a Roland R-8 drum machine. I also owned Tascam Port-Studio and a Fostex 280 4-track machine, an EMU Emax II, an Alesis SR-16, and an Ensoniq SQ-1Plus. What hardware do you currently tend to use? I heard the new PE material is made entirely with software? I have a Korg Triton, an MPC-2000, a Kurzweil K2000, a Fender Rhodes, a Sonor drum kit, LP Congas, Timbales, bongoes, a custom rackmounted PC, a Tascam FW-1884 with 2 sidecars. As far as software, I have Sonar 4 PE, Cakewalk’s Project5 vers.2, Reason, all of Native Instruments’ stuff. Many plug-ins and ot very much outboard. Line 6 Pod ProXt and BassPod ProXt, M-Audio Tampa and Octane mic pres, ART DPSII mic pre and (of course) my turntables and mixer (Technics tables and Rane TTM-54 mixer.) The PE material I’m working on now is done with a combination of hardware, software, and live instruments. Is it possible for you to describe your style of beats? What producers and artists first inspired you to create music of your own? Wow. Good question. Let’s see. Willie Colon, Johnny Pacheco, and Ruben Blades from their Fania Record days. Duke Ellington, especially on the album “The Far East Suite”. James Brown. Sylvester Stewart (Sly and the Family Stone.) Stevie Wonder. The Stax “sound.” Motown. Led Zeppelin. Tom Dowd recordings (Atlantic Records era….Aretha ect.) Pretty much everything and anything! “New Whirl Odor” produced by Professor Griff, C-Doc, Abnormal, and Myself. “How Do You Sell Soul to a Soul-less People Who Sold Their Soul?” produced by Gary G Wiz, Myself, and others. “World Tour Sessions,” “Beats and Pieces,” a PE Box set and later this year, a special experimental PE album produced entirely by me. Is the Flava Flav album which you was working on at one point ever going to see the light of day? I have no idea. I hope so. Flav is a talented brother and I think he deserves the opportunity to share his vision with his fans. How have the PE camp reacted to him going on reality TV so much? He’s just started a UK series called The Farm. I heard! That’s good for him. As long as he does something positive and moves forward, who am I to judge the decisions he makes? I just hope that he realizes that these media companies exploit their “talent” and that he doesn’t get taken advantage of financially or professionally. I do believe that some parts of people’s lives are nobody’s business but their own. Outside of the group, have you worked with and released any other material you can tell us about? “Music Negra” remix by Rob Swift. The list is actually crazy long but you get the idea. Which rappers would you most appreciate the opportunity to one day work with? To be honest with you, I’d rather work with somebody like (salsa music legends) Cheo Feliciano or Ruben Blades. I’m leaning towards working with influencial musicians from other genres. I am part of the band “Children of Agharta” with Miles Davis alums Pete Cozey, John Stubblefield and Gary Bartz. I have also worked with (the incredible) Mavis Staples and I’ll tell you there is nothing like working with a legendary soul, blues, or jazz artist. It takes my music to a higher plane. 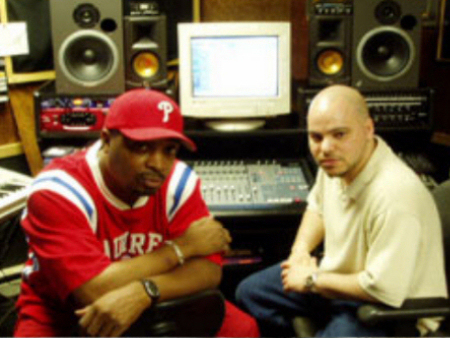 As far as rappers, I’ve worked with LL, Beasties, PE, Slick Rick, KRS-One. Pretty much the legends in the game. I would love to work with Rakim, Kool G Rap, Redman, Nas, and Gang Starr. 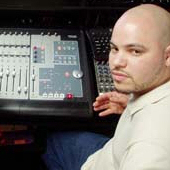 Who would you say is currently the hottest producer in hip-hop? Probably Kanye. He is very well-rounded. Have you ever been on the road touring with the group and what has that experience been like? I have done some touring with PE but not much. It is a grueling ordeal and I would much rather stay in the studio and be productive. Do you wanna make any shout out’s or drop a promotional message before this wraps up? I just want to thank everyone for the continued support of Public Enemy over the years and a super big shout out to all of the turntablists especially Rob Swift for rekindling my fire for turntablism. Peace and love. 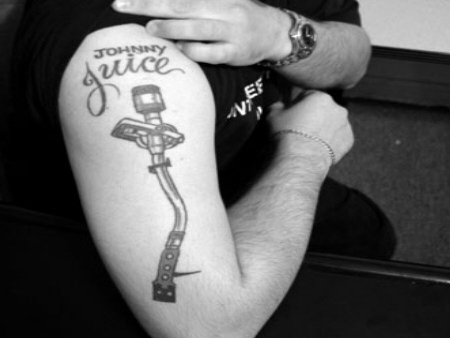 Johnny Juice on point as usual…. Nice interview…...........keep up the good work. I happen to find this interview, and I have to say its great to know that Mr Rosado is a huge influence in the DJ game. Ive been a D.J. since 1984 and I relate with alot of things that hes done and said. Im a realtor these days but I never stop practicing, although music is not the same, and there are alot of “robot” Djs its good to know that Djs like Johnny Juice are around to keep it alive. Please pass along my email address to Mr. Rosado. You are a great mentor. I feel extremely blessed and fortunate to have such a well rounded, talented person like you in my life. It’s a true inspiration. Thanks ! !where is the Charlie Brown (C.Boogie Brown) solo album? there is more information about it?